Queensland to be left in the dark ? The Brisbane Times has an article on possible electricity shortages emerging in Queensland - Queensland to be left in the dark. Warnings that Queensland could experience power shortages in two years proved the need for a carbon tax, according to the Climate Institute. But the state government and energy provider Origin have denied the state is at risk of power shortages as argued by the Australian Energy Market Operator. This is another cross-post from Robin Johnson's Economics Web Page. Recently, I have written a couple of posts on the New Zealand Emissions Trading Scheme (NZ ETS). I compared the comprehensiveness of the NZ ETS vs the Australian Clean Energy Future ETS, the Kyoto chart junk in the Report on the New Zealand Emissions Trading Scheme, and the over-supply of the New Zealand Units in 2010. This post mixes two of these ideas; searching out bad charts and looking again at the supply side of the New Zealand carbon market, how many New Zealand Units were allocated for free to emitters and businesses under the NZ ETS. 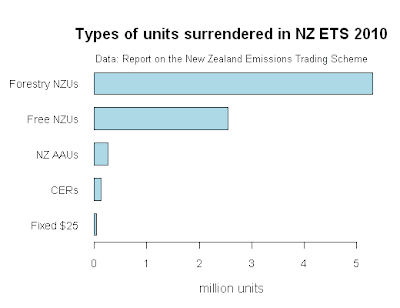 The Report on the New Zealand Emissions Trading Scheme provides in Figure 5 a pie chart of the number of New Zealand Units (NZUs) surrendered by emitters. Although the pie chart is Kaiser Fung's least favourite type of chart, this pie chart isn't too bad. There are a manageable number of categories; only five; and no 3-D effects. The key point is clear from the pie chart, that about two-thirds of NZUs surrendered were purchased from foresters. Also the chart follows the NZ Ministry for the Environment's usual practice of providing the original data underneath so you can do you own chart. I did a bar chart of the data, re-labelling the "Other" NZUs as "Free NZUs". The free allocations of NZUs are shown in another pie chart, Figure 8. The allocations to industry activities (the pie slices) are charted not as as numbers of NZUs as in Figure 5, but as proportions. The proportions are noted as percentages on each pie slice. There is no table of data accompanying the chart. This is clearly inconsistent with Figure 5. Why doesn't the pie chart show either the actual total number of NZUs allocated, or the number allocated by activity? The total number of NZUs allocated for free in 2010 is not disclosed anywhere else in the Report on the New Zealand Emissions Trading Scheme. There is another chart, Figure 11, that appears to show free NZU allocations to each industry sector. Maybe these add up to the total "pie" in Figure 8. 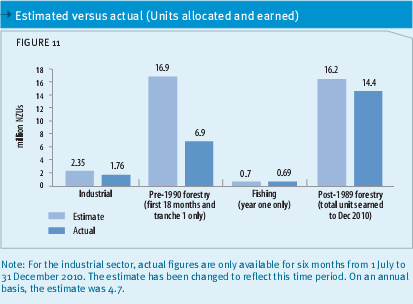 I added them up; 1.76 million NZUs given to industry, plus 6.9 million NZUs given to pre-1990 forest owners plus 0.69 million NZUs given to fishing quota holders: equals a total of 9.35 million NZUs. However, the total number of NZUs allocated by free gifting between 1 July 2010 to 31 December 2011 is 12,776,026, according to the Ministry of Economic Development Chief Executives report. So there appears to be a gap of 3.4 million gifted NZUs, not disclosed in The Report on the NZ ETS. Allocation is costly. Each credit that is given away rather than kept or sold is a real dollar loss to the taxpayer. And there is another cost: it lessens the incentive to invest in low-carbon technology and emissions reductions. Generous and unlimited allocation that is promised to last a long time, whether or not it actually does, removes the push to transform to a low carbon-intensive economy. To me this is an unsatisfactory level of disclosure of information. I am struggling to find an explanation for this other than to obscure the amount of subsidies funded via NZUs to emitters such as Rio Tinto-owned New Zealand Aluminum Smelters Ltd. I leave the last word to Jan Wright. The principle of Parliamentary scrutiny in the Public Finance Act should also apply to allocation. Given the large taxpayer expense, the reason for allocating to a particular sector should be transparent. Christchurch quake cost added to NZ's yearly oil import bill? By 2015 New Zealand could face an extra $10 billion cost each year to import oil, compared to 2011 prices. That's more than the cost to government of the Christchurch earthquake each and every year! By 2020 the oil import cost each year could soar to $19 billion more than the present cost. That's the bill for two Christchurch earthquakes every year. Dutch Disease is the term used by economists to describe the situation now being faced by Australia (aka New Holland). The Sydney Morning Herald (link below) describes some of the effects the mining boom is having on the rest of the economy - where most people work. The demise of BlueScope is covered in a related article from The Conversation, 'Once upon a time, when Australia had a steel industry …’, which has the great line, "governments ... wedded to day trading for policies". Dutch disease is a concept that purportedly explains the apparent relationship between the increase in exploitation of natural resources and a decline in the manufacturing sector. The claimed mechanism is that an increase in revenues from natural resources (or inflows of foreign aid) will make a given nation's currency stronger compared to that of other nations (manifest in an exchange rate), resulting in the nation's other exports becoming more expensive for other countries to buy, making the manufacturing sector less competitive. The current situation in Australia appears to be a textbook example. The Conversation has a post on the economics of solar power vs that of traditional energy sources from Andrew Blakers, the Director of the Centre for Sustainable Energy Systems (CSES) at Australian National University - Solar will force coal and nuclear out of the energy business. A solar energy revolution is brewing that will put the coal and nuclear industries out of business. Solar is already reaching price parity with coal in many parts of Australia. In contrast to coal and nuclear, solar is fully sustainable and safe. Solar is now an established industry that is growing very rapidly. Photovoltaic power has reached retail grid parity for three out of four Australians – everywhere except Victoria, Tasmania and Canberra. Retail grid parity means that it’s cheaper to get electricity from photovoltaic panels on your house roof than to buy it from the grid. In Adelaide, photovoltaic power is only two-thirds the price of retail grid electricity. By 2015, grid parity will be achieved in all of Australia, as well as in nearly every temperate country in the world – about 6 billion people. Eliminating CO2 emissions from electricity production will be easier, cheaper and faster than most pundits predict. The faster that the solar energy industry develops, the less damage from greenhouse gas warming will occur. The Conversation has an article on the use of "infostructure" to improve public transport - The smart future of public transport. Can you imagine a public transport environment free from the complications of buying a ticket and validating it? What if fare evaders were automatically singled out for their faux pas? Or how about the information you require to complete your journey following you around on a wall surface, allowing you to use a mobile phone application which integrates your real time location with a game so you can play and not miss your stop? These are some of the scenarios outlined in Infostructure: A Transport Research Project, which explores how digital media technologies can improve the customer experience on public transport. In many cities rising traffic congestion and the sustainability agenda has brought renewed focus to public transport utilisation. Infostructure argues network and station expansion efforts are not the only solutions to public transport issues. As the information around us becomes ever more dense, access to high quality facts has gained increasing importance. The project entitled Forward Motion proposes a station environment where digital technologies are seamlessly integrated with the building fabric to enable an innovative mode of ticket validation for public transport users. The mobile phone application designs demonstrate the convenience of access to location-based real time information. Not only does this information travel with you, but it can also be responsive to other context specific information as your environment changes. As demonstrated by projects such as Dare to Be Aware, Lead the Way and Intelligent Tunnel the integration of urban digital media technologies with broader design solutions for public transport environments provides opportunities to simultaneously address both operational and customer experience issues. The design of a station – its architecture and the way it defines space, has the potential to operate “informationally.” That means surfaces such as the wall, floor or ceiling have the possibility to both transmit and receive information. They can become responsive to the user, and therefore focussed on the customer. And these ideas may not be too far away from becoming a reality. The University of Technology Sydney, and the University of Sydney have been awarded an ARC grant to work with Transport NSW and Railcorp to develop them further. Work on improving the spatial and visual user information technologies for public transport will start at the end of this year. Stand by for your daily commute to get a lot smarter. Coal seam gas is the big energy and environment story of the year in Australia, with the potential to become a big wedge issue in federal politics for the Liberal and National parties (along with minor right wing MPs). More on that later, but in the meantime its interesting to see that Michael Roarty from the the Australian Parliamentary Library has produced a note on the industry - The development of Australia’s coal seam gas resources. The aim of this Background Note is to outline recent developments in this increasingly important part of Australia’s energy sector. The Note is primarily about the extent of this resource and its development (including some environmental matters related to this) but it does not cover the details or controversies relating to how and where it is developed. Coal seam gas (CSG) occurs naturally, in varying quantities, in coal seams. It consists mainly of methane (CH4) – hence its other name of coal bed methane (CBM). Methane burns well in air, and thus can be used as fuel. Gases in coal seams are formed during the long geological process of coal formation (coalification) when organic matter is converted into coal. The gas accumulates underground, held within the cleats (natural fractures) and pores of the coal itself. Not all coal seams contain useful quantities of methane. In some cases, the coal gas may consist mainly of carbon dioxide (CO2), or it may contain poisonous carbon monoxide (CO), or nitrogen. There may also be quantities of hydrocarbon gases other than methane (for example, ethane, propane, butane). When methane is released as a side-effect of coal-mining operations it is called coal mine methane (CMM) and is usually vented to the air (although in particular cases it can be captured and used as an energy source). It used to be considered a nuisance that hindered coal mining as it was responsible for serious coal mine fires and explosions in earlier years. CMM nowadays is much more effectively managed using methods such as methane drainage, in association with mining activities. Coal seam methane is identical to “natural gas” (also methane) associated with traditional oil and gas fields, but its exploitation and use is a relatively new phenomenon. Until recently, the natural gas or methane used in Australia and elsewhere was nearly all supplied from reservoir gas—that is, ‘conventional gas’ that occurs in underground porous sedimentary rock reservoirs (gas fields) rather than in coal seams. 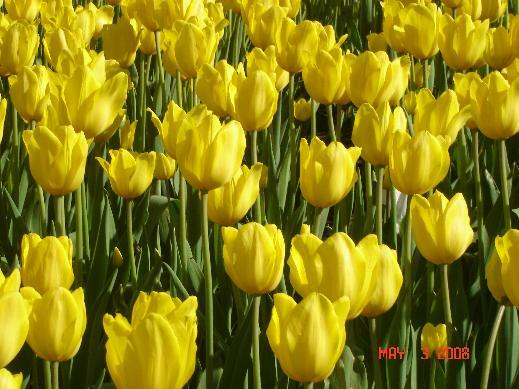 But coal seam gas, just like conventional gas, can be used to power water and space heating for industrial, commercial and domestic users, as well as in gas turbines to generate electricity. Thus, the coal seams are merely a new source for an old and valued fuel. The Eastern Australian natural gas market has for some time been supplied from the Cooper/Eromanga oil and gas fields in central Australia and the Gippsland Basin located offshore from south-east Victoria. While some new, but small, oil and gas fields have been developed in offshore Victoria, and some additions to the central Australian gas fields have been found, the consensus is that these fields are slowly depleting and will be unable to supply the growing Eastern Australian gas market well into the future. The development of the coal seam gas deposits in Queensland and New South Wales associated with the coal fields will not only enable the supply of natural gas for the growing Eastern Australian market but also enable the establishment of major export liquefied natural gas (LNG) industries, providing an impetus to employment, infrastructure investment and Australia’s exports. It should be noted that as well as pumping out the methane from a coal seam, another method for extracting the gas involves in situ combustion of the coal seam and any included methane to form ‘syngas’, which can be used to generate electricity at the surface. This technology, known as “underground coal gasification”, is at a less advanced stage in Australia, with a 5MW facility undergoing development and demonstration near Dalby in Queensland. It offers the potential to extract energy from coal seams that are too deep to mine economically. As this technology represents a different set of technical and environmental challenges to those of coal seam gas, and the timeline for commercial large-scale development is probably a decade or more away, underground coal gasification is not included in the scope of this paper. Cross posted from Peak Energy. I'd like to welcome a new contributor from New Zealand, Denis Tegg, who blogs at NZ Oil Shock. We are always on the lookout for contributors, so if you would like to post an article here, please contact one of the editors. This is a guest post from Denis Tegg. the risks of oil price shocks and a physical shortfall in the world supply are issues of "strategic importance"
a substantial increases in domestic oil production will not insulate New Zealand from higher oil prices because oil is traded internationally and we would still pay the international price. This advice from senior officials was given to Transport Minister Steven Joyce and Energy Minister Gerry Brownlee in a report entitled "Oil Prices and Transport Sector Resilience" and obtained under the Official Information Act. perversely initiated policies which increase New Zealand's exposure to oil price and supply shocks. It has abandoned plans for mandatory fuel efficiency standards for light vehicles, and has vastly increase spending on motorways which perpetuate urban sprawl and New Zealand's car and oil dependence, while public transport funding has languished. other practical policy ideas in a 2008 New Zealand Transport Authority report to lower New Zealand's oil dependence have been kicked to touch. having received advice in 2009 that it clearly does not wish to hear, it has steadfastly avoided asking for any further advice from officials about New Zealand's oil vulnerability. Instead it has instructed its officials to downplay and marginalise the risks posed by peak oil, as is evidenced by a peak oil presentation given recently by an MED official. That presentation is completely at odds with the clear and compelling warnings given in the 2009 Report. How do officials assess the risk? The report begins by documenting New Zealand's extreme reliance on imported oil. Oil accounts for 51% of New Zealand's total consumer energy, transport accounts for 80% of New Zealand's oil consumption and 14% of household expenditure is made on transport costs. "increase the risks of a sudden oil price shocks, caused either by political tensions in major supplier countries or by a physical shortfall in supply"
"would not necessarily insulate the New Zealand economy from oil price volatility or long-term price rises. This is because like all internationally traded commodities domestic oil and fuel prices are largely driven by the international price"
Echoing many of the points made in previous posts here and here on this blog, the report confirms that "reflecting the importance of energy to economic activity, high or volatile prices can have a pervasive effect on economic performance", citing as examples the cost of asphalt and bitumen to roads and fuel costs which dominate the operating costs of the fishing and aviation sectors. "international and domestic transportation costs largely determined by oil prices therefore play a significant role in the competitiveness of businesses right across the economy. The transport sector's exposure to increasing and volatile oil prices is therefore an issue of strategic importance"
"if real long-term oil prices continue to increase as forecast New Zealand's economy may suffer more than other economies". Overall "the transport sectors resilience to increasing all prices is relatively low"
In complete contradiction of the 2011 MED presentation that "new technologies will save us" the 2009 report bluntly states that "New Zealand's vulnerability will be reduced marginally by the combined availability and affordability of new technologies such as electric vehicles and second-generation biofuels"
Again completely contradicting the government's position that there is no need for government intervention and that the market will provide all the solutions, the report states "the cost, supply, convenience and reliability of new technologies are key barriers and that without incentives the transport sector's resilience will decrease further"
Unlike the global financial crisis which took most experts and our government by surprise, the severe impacts of rising oil prices on our economy are well understood and thoroughly predictable. The government has received warnings that we are far more exposed than other developed nations to these risks. Yet like some delusional captain of the Titanic this government accelerates the ship of state on a collision course with the oil crunch iceberg. Unlike the global financial crisis, the government cannot use the excuse that they were not warned. Its failure to heed these warnings and act decisively will surely go down in history as New Zealand's economic Titanic event. The Canberra Times has a guest editorial from Jenny Stewart on energy security and peak oil - Time to refine energy security. For the past six months our national attention has, understandably, been focused on the carbon tax issue. The policy agenda now needs to move in a related, but different direction. The reason is a three-letter word – oil. While oil producers will be affected by the carbon tax, politics ensures that there will be no tax on petrol. Yet oil is, arguably, one of Australia’s key energy problems. As a nation, we passed ‘‘peak oil’’ some time ago. Domestic production plateaued more than 20 years ago, and since 2005, has been in decline. The oil that is left is a long way offshore, and a long way down. Extracting it will be costly and risky. Australian refining capacity is more constrained now than it was a decade ago. South Australia lost its one oil refinery in 2003. A number of the refineries in Queensland, Victoria and NSW are small in scale, and subject to stiff competition from imported, refined products. Further rationalisation of refining capacity seems likely as imports continue to increase, particularly from large-scale refineries in Asia. The government (in the form of the National Energy Security Assessment released in 2009) acknowledges challenges ahead, but tells us that, fundamentally, all is well. Energy security (that is, adequacy, reliability and affordability of supplies) is assessed as ‘‘high’’ until 2018, with only moderate concerns for 2023. Essentially, the assessment assumes that, because markets will continue to operate, there is no need to worry. Although oil prices will continue to rise, the resilience of the Australian economy will ensure that we can cope. While domestic refining capacity is expected to decline, this is not considered to be a concern, so long as more facilities are built for handling imports. The assessment does not examine the impact of possible disruptions in oil supplies from the Middle East. Indeed, the reader would be hardpressed to realise that oil is a resource whose future is problematic. Now, price signals are important inputs into public policy. But in the case of oil in particular, there are good reasons to be sceptical about the merits of relying on this mechanism as a basis for policy. World oil prices subside when growth declines, and pick up again when growth gathers pace. And as we saw when the oil producing nations began to exercise their market power in the 1970s, they can spike rapidly. But over the longer run, oil prices do a poor job of reflecting the scarcity of the resource. Internationally, as in Australia, rates of oil use exceed the extent to which new reserves are being found. Planetary ‘‘peak oil’’ will soon be upon us. Given this situation, the price of oil should have been rising steadily over the past 20 years, because producers would be holding back present-day production, in order to receive higher prices later. Yet while there are short-term fluctuations, the inflation-adjusted price of oil has proved remarkably steady over the past two decades, increasing only in recent years as demand has accelerated. Governments are thinking longer term, but not in the way an environmentalist would want. Nations are looking far less at the greenhouse gas equation, and far more at economic growth and energy security. Hence the efforts in Canada to extract oil from tar sands. Almost as much energy goes into the process as comes out of it, yet Canada’s federal and provincial governments remain committed to the industry. Despite the recent disaster in the Gulf of Mexico and in the face of the protests of conservationists, the US is again moving towards oil-drilling in the Arctic. For countries with some oil reserves of their own, there are difficult questions to answer about the extent to which local production should substitute for imports. Certainly, since the Hawke government deregulated the industry in 1988, Australia has been content to leave the decision about whose oil to use, to market forces. As a result, our petrol and diesel prices are low by international standards and our transport (and food production) systems are more dependent upon oil than ever. But these very factors make us vulnerable to geopolitical change. Not only that, we are at the end of some very extended supply chains. One of the least understood elements of peak oil is the rapid decline rate of production from the peak for any given oil field. For an example of just how severe and steep the decline rate can be, look no further than the recent announcement that the Tui oil field in the Taranaki Basin has had its remaining oil reserves slashed by 1/5, and that production will fall off a cliff. For a New Zealand oilfield, this is peak oil in action with bells on. We are all used to seeing breathless media announcements of "huge" new discoveries of oil. What we hardly ever hear about is when oilfields inevitably start to rapidly decline. No surprises therefore when the Tui reserve downgrade from 50.5 million to 40 million barrels was buried deep in the business section of our press and never made the front pages. The remarkable story about the Tui oil field completely missed, or ignored by the business media, is just how quickly the field reach peak production, and how rapidly it’s decline will be. It was only four years ago on 30 July, 2007 that Tui began production. 31 million barrels of oil have been produced in those four years. But the remaining 9 million barrels of expected reserves are projected to dribble out over the next 9 years before the field is fully depleted in 2020. The steepness of the decline can be seen from this graph from a July 2011 New Zealand Oil and Gas report -- (representing its 12.5% stake in the Tui field). If you focus on the dark blue part of the graph at the bottom of each column you can see that NZOG’s share of production will fall from 270 kboe in 2012 to 200 kboe in 2013 -- representing a decline of 26% in oil flows for Tui in just one year. The overall decline rate for the Tui oilfield in the four years between 2012 and 2016 is a staggering 59%! "Tui's reserves have been constantly upgraded over its life, suggesting a well life beyond 2030". "recently commissioned producing fields, like Tui for example, are relatively small and have a high rate of depletion"
Note : The same graph also shows a steep decline of 38% in 4 years for the Kupe oil field (light blue) which is also very high by international standards. It confirms that in the next four -- five years domestic oil production in New Zealand will fall off a cliff, at the very time a global oil supply crisis is unfolding. We are already hugely dependent on oil imports and vulnerable to any disruptions to supply. We will become even more dangerously dependent on a dwindling supply of oil from volatile world markets. Meanwhile the government's "response" to peak oil is misguided and pathetic. We have no plan to lower our dependence on imported oil, other than “drill and hope”. 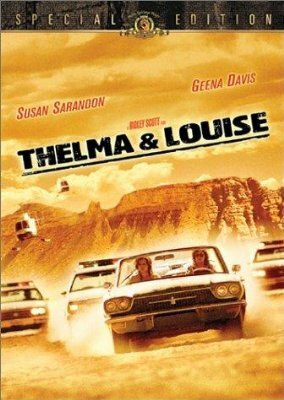 No -- it's time to do a Thelma and Louise -- let’s all accelerate down the white elephant billion-dollar "roads of significance to National" and race over the oil crisis cliff! The ABC has a report on falling power demand on the local grid - its a shame summer peaks aren't dropping as well - as we are in a weird situation of investing heavily in transmission infrastructure to satisfy falling aggregate demand - Power consumption makes historic drop. One of Australia's largest electricity distributors says it is experiencing a "historic" cut in households' demand for power. Ausgrid, which provides power to much of New South Wales, has announced demand for its electricity by regular households has fallen 2 per cent each year for the past four years. It is the first time the company has seen a fall in demand since the 1950s. "If you go right back to the 1950s, residential consumption has continued to rise year on year, and in around 2006, we saw that plateau," Ausgrid energy efficiency specialist Paul Myors said. Ausgrid says the drop is caused by consumers switching to energy efficient hot water systems and light bulbs after seeing their power bills go through the roof. "One example where we have seen most strongly is with residential hot water because we often separately meter this in households," Mr Myors said. "We've seen reductions even greater than 2 per cent, even up to 8 per cent per year," he said. It is expected the Australian Energy Market Operator will also announce a fall in power demand of 5 to 6 per cent in the next decade. It's a common misconception that only "greenies" and "doomsters" are concerned about peak oil. This view perhaps explains why politicians and the mainstream media have marginalised or ignored the issue. However a recent US survey of public opinion reveals that, in fact, those Americans who identify themselves as "very conservative" politically or who are "strongly dismissive" of climate change are among those most concerned that rising fuel prices are harmful to the economy and public health. Overall nearly 2/3rds -- or 65% -- of all respondents to the US survey said that if oil prices triple it would be "very harmful" to the economy, and 44% said it would be "very harmful" to public health. These are the key findings of a study published online this week at the American Journal of Public Health. Here is the breakdown by idealogy - note: those who identified themselves as "very conservative" were 20% more concerned than those who said they are "very liberal"
The US survey findings aligns closely with a poll carried out by WWF in New Zealand in August 2010. In that poll 72% of New Zealanders believe it is the government's task to plan ahead, and invest now in public transport and alternative fuels before the price of oil rises. The NZ survey did not break down opinion among “liberals” and “conservatives” but it seems likely that ideological results would be similar here. Further polling and focus group surveys would be useful. "although Americans are unlikely to be aware of the concept of peak petroleum, the level of expert agreement on the issue, or the potentially significant impacts on society, the public does possess a latent sense of an impending energy problem"
What are the takeout messages from the US and New Zealand opinion surveys? 2 to a far greater extent than previously thought "middle New Zealand" as well as those identifying themselves “far left" and the "far right" are open to engagement and debate on peak oil and its implications, from both the media and politicians. 3 there is sufficient concern to indicate that the public are already receptive to the major political parties proposing bold policies to lower our dependency on imported oil and as to how we might transition to alternative sources. Will politicians and media have the courage? "In a country run by responsible adults, these prudent warnings based on the best available science -- would be blaring from every political and cultural orifice. In a country run by amoral, narcissistic, opportunists, they are whispered at the fringes – in the hushed politeness of power-point presentations, on fringe websites, in meagerly-read books, and among small groups of alarmed citizens." This is a guest post from Robin Johnsons Economics Page. On 1 August 2011, New Zealand Minister for Climate Change Issues Nick Smith released the first progress report on the implementation of the New Zealand Emissions Trading Scheme (NZ ETS). I have now read the Report on the New Zealand Emissions Trading Scheme and have a few comments - having been distracted by the chartjunk in the Minister's foreword. Perhaps the first point to make is that the NZ ETS has now been though a complete compliance period, the six months from 1 July 2010 (when energy and industry entered) to 31 December 2010. In that period emitters and foresters were in the emissions trading market. The emitters, in energy and industry (about 45% of New Zealand's greenhouse gases) are "participants" in ETS jargon. These participants had an obligation under the NZ ETS to measure their greenhouse gas emissions and to obtain and surrender a matching number of emissions units to the NZ Government. The Report on the New Zealand Emissions Trading Scheme documents these transaction so it should help us make an assessment of how the NZ ETS is working. The same underlying infromation, emissions units issued and surrendered in the 2010 compliance period, has already been available from New Zealand's "central bank" for emissions units - the NZ Emissions Unit Register, run by the NZ Ministry of Economic Development. The NZ Climate Change Response Act 2002 requires certain information on emissions trading to be disclosed annually. The Ministry for the Environment's Report on the New Zealand Emissions Trading Scheme is really this same trading information with some, ugh, "100% Pure" photo shoot pictures, quite a few junk charts and several text-boxes. The Ministry for the Environment report and Dr Smith's press release received some media coverage. The best reporting, with no junk charts, is Brian Fallow in the NZ Herald. Dr Smith's narrative is that the NZ ETS is going well and Fairfax/Stuff repeated this angle, as did the National Business Review and even Reuters said the NZ ETS was working as intended. The Sydney Morning Herald even reported that the NZ ETS had "performed to expectations." 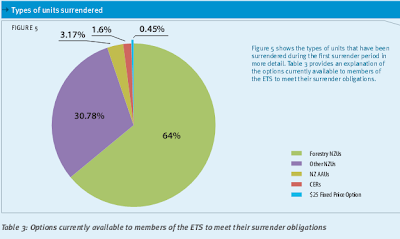 In terms of raw numbers, there 96 mandatory "participants" (emitters) in the NZ ETS at 31 December 2010 - compared to 500 planned for Australia's proposed emissions trading scheme. 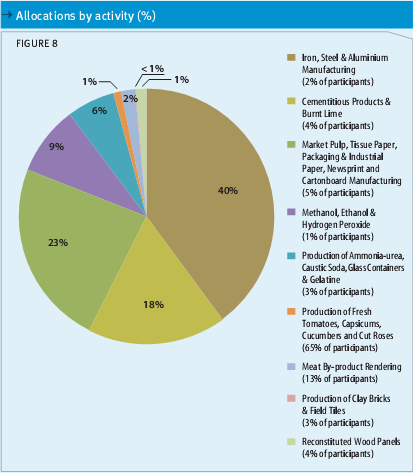 Of the 96 participants, 76 are in the energy sector. There were 1,216 voluntary participants, of which 1,206 were in the forestry sector; forestry having entered the NZ ETS from 1 January 2008 mainly in terms of sequestering carbon in forest carbon sinks and receiving units in return. The NZ ETS creates its own specific emission unit, the New Zealand Unit (or "NZU") as well as allowing the use of most Kyoto Protocol units. In the six months from 1 July to 31 December 2010, 12.8 million NZUs were gifted to participants by "free allocation"; 9.4 million NZUs were transferred to mostly to foresters for forest carbon sequestration and 8.3 million units were surrendered to the Government (Surrender means to obtain units equivalent to a participant's GHG emissions and to transfer them to the Government's account at the NZ Emission Units Register). We may then ask "So what?" in response to these raw facts. Well, lets think how the NZ ETS performed according to the expectations of someone who has written a book on the NZ ETS - the economist Geoff Bertram. In the book The Carbon Challenge, Bertram and co-author Simon Terry analysed the NZ ETS as a market for emission units/carbon credits and in terms of supply, demand and price. The supply of NZUs into the market for the six months from 1 July to 31 December 2010 was 22.2 million NZUs, made up of 12.8 million NZUs gifted to companies by "free allocation"; and 9.4 million NZUs transferred for forest carbon removals. The demand from the market participants (the emitters) is the 8.3 million units surrendered in 2010. The NZ Emissions Unit Register report tells us that the 2010 year GHG emissions were 33.4 million tonnes and the NZ ETS-liable emissions from 1 July 2010 to 31 December 2010 were roughly half that at 16.3 million tonnes. Remember Nick Smith's 2-for-1 deal to surrender 1 unit for 2 tonnes of GHGs? That explains why only 8.3 million units were surrendered, when 16 million tonnes of GHGs were reported. For me the critical issue here is that supply (22.2 million units) exceeded demand 8.3 million) by 13.9 million units (or by 267%). There were 13.9 million units left over after emitters satisfied their 2010 NZ ETS surrender obligations. As we know from basic economics, when supply exceeds demand, the price drops. The MfE report and Dr Smith's press release make no mention of the NZ ETS carbon price. 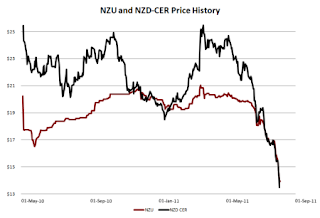 However, the reliable Westpac carbon update provided this chart which shows the declining price of NZUs in 2010-2011. The excess 2010 units have no expiry date and will carry forward to 2011. In 2011 and 2012, as well as starting with excess units, the 2010 template will be repeated for 12 months not six. More units will be allocated for free to industrial emitters and more units will be given to pre-1990 foresters as compensation, and to post-1989 foresters for carbon sequestration. The 1-for-2 deal carries on as well to 2013. These features are embedded into the structure of the NZ ETS and will ensure that for the rest of the Kyoto Protocol commitment period to 2012 that the NZ ETS market will be over-allocated with NZUs which will trade at a discount to other internationally marketable Kyoto emissions units. Geoff Bertram and Simon Terry made a number of predictions in The Carbon Challenge. Here's one. "In the New Zealand scheme, arbitrage between the NZU and the Kyoto currencies sets a ceiling on the carbon price, with no quantity limit. Local emissions volumes will change only insofar as the price of the Kyoto currencies constitutes an incentive to change behaviour; and NZUs will be used to cover liable emissions only insofar as they are a cheaper alternative to Kyoto currency units"
My conclusion is that, contrary to Dr Smith's narrative, the MfE report on the NZ ETS is completely consistent with Geoff Bertram's prediction that the NZUs would be over-allocated, would be priced at a discount to international units and as a consequence the NZ ETS will not provide a sufficient price incentive to reduce GHG emissions. Bloomberg reported last week that the Fukushima meltdown continues to set new radiation records - Tepco Says Highest Radiation Yet Is Detected at Fukushima Dai-Ichi. Tokyo Electric Power Co., operator of Japan’s crippled Fukushima Dai-Ichi nuclear plant, said it detected the highest radiation to date at the site. Geiger counters, used to detect radioactivity, registered more than 10 sieverts an hour, the highest reading the devices are able to record, Junichi Matsumoto, a general manager at the utility, said today. The measurements were taken at the base of the main ventilation stack for reactors No. 1 and No. 2. The Fukushima plant, about 220 kilometers (137 miles) north of Tokyo, had three reactor meltdowns after the March 11 magnitude-9 earthquake and tsunami knocked out power and backup generators. Radiation leaks displaced 160,000 people and contaminated marine life and agricultural products. The Times Union reports that the Japanese are growing suspicious of offical claims and are starting to measure radiation levels themselves - Japanese monitor radiation on their own. Kiyoko Okoshi had a simple goal when she spent about $625 for a dosimeter: She missed her daughter and grandsons and wanted them to come home. Local officials kept telling her that their remote village was safe, even though it was less than 20 miles from the crippled Fukushima Daiichi nuclear power plant. But her daughter remained dubious. So starting in April, Okoshi began using her dosimeter to check nearby forest roads and rice paddies. What she found was startling. Near one sewage ditch, the meter beeped wildly, and the screen read 67 microsieverts per hour, a potentially harmful level. Okoshi and a cousin who lives nearby worked up the courage to confront elected officials, who did not respond, confirming their worry that the government was not doing its job. With her simple yet bold act, Okoshi joined the small but growing number of Japanese who have decided to step in as the government fumbles its reaction to the widespread contamination, which leaders acknowledge is much worse than originally announced. Some mothers as far away as Tokyo have begun testing for radioactive materials. Crikey has some choice words to say about the disaster - Fukushima disaster: worse than Hiroshima. More gravely serious truths about the severity of the Fukushima nuclear power plant disaster following the earthquake and tsunami of March 11 have emerged. Two things are now clear and they justify the following charges: the nuclear experts that the Australian media relied upon should never be trusted again; and social media real-time raw and unfiltered audio and video reports are providing a more truthful and relevant coverage of the aftermath of the continuing nuclear crisis than the selective and filtered copy being carried by print and wire agencies. While the Bloomberg news report overnight of two extremely high radiation readings being recorded at the Fukushima complex of nuclear plants on August 1 and August 2 are alarming, other significant disclosures are also made in this story. * For the first time a tenured nuclear expert Tetsuo Ito, the head of the Atomic Energy Research Institute at Kinki University concedes that the melted cores of one or more reactors may have melted through the supposedly failure proof containment vessel floor, sinking deeper into the subsoil and given the nature of the radioactive material concerned, into a position where it can spread a very long distance directly through the subsoil water table. It took TEPCO and nuclear apologists until last month to even concede that “partial meltdowns” had occurred in up to three of the reactors, even though the only plausible explanation for the caesium contamination detected outside the reactors within 48 hours was the rupturing of the caesium sheaths surrounding the uranium rods upon their exposure to air following the draining of coolant fluid, setting up the requirements for a melt down to occur. In what would be consistent with a deliberate policy of gradually revealing the truth some months after the event, the Japanese nuclear authorities and government are also now routinely referring to the fact that contamination levels outside the exclusion zone around the Fukushima Daiichi complex include hot spots that are as highly affected as they were around the Chernobyl reactor that exploded in the former Soviet Union 25 years ago. Which is where social media in Japan is making itself felt. In a series of widely viewed and replicated YouTube videos a Japan nuclear expert, Professor Tatsuhiko Kodama, has told Japan’s lower house Diet that the nation has failed miserably to make a timely evacuation of the at risk population worst affected by Fukushima radioactive fallout compared to the massive relocation that occurred in the Ukraine in the two weeks after the Chernobyl disaster. In the English language transcripts of these videos, notably on the Penn-Olsen Asia tech blog, Kodama says he is shaking with anger at the incompetence and dishonesty of the government and nuclear authorities and the TEPCO power company in the aftermath of the accident. He attacks the use of simplistic readings that ignore for example the accumulation of deadly isotopes at the foot of slippery slides in children’s playgrounds in favour of readings at the top from which rain has washed away the contamination. The readings, like the children, are being cooked, either by ignorance or intent. “What is more frightening is that whereas the radiation from a nuclear bomb will decrease to one-thousandth in one year, the radiation from a nuclear power plant will only decrease to one-tenth. Kodama’s testimony, poorly reported in the established Japan media, is circulating in social media in tandem with raw videos of government officials telling a meeting of Fukushima residents demanding urgent help in evacuating to other parts of the country that they should stay put and trust them to reduce radiation. The meeting becomes increasingly angry after one official tells the residents they could evacuate at “their own risk”, while they shout at them for telling them to stay put and die. The bigger context to these reports from Japan is that the guidance given by nuclear scientists and apologists alike to the media in Australia was disgracefully inaccurate and patronising. The reality of the caesium contamination was ignored, and the quoting of initial radiation readings in the wrong metric was ignored (and later found to be fictitious as well as mischievous, when TEPCO confirmed that it didn’t actually have any capability of measuring contamination within key parts of the complex). The constant refrain that Fukushima would never be a level-seven disaster such as Chernobyl contained longer in the Australian media than anywhere else, even after the nuclear authorities in France and US broke with the usual protocol of not commenting on other national agencies, and said that it could reach level six or level seven and expressed a lack of confidence in their Japan counterparts. One thing that is becoming apparent after this disaster is that the truth, like the fallout, is going to force itself on the authorities no matter how much the business, political and scientific establishments try to play it down. The Climate Spectator has a look at the elevated level of skepticism about nuclear power - Nuclear: too hot to handle. Recent reports about the potential of BHP Billiton to delay uranium production from its massive Olympic Dam project, and Resource Minister Martin Ferguson’s urging of the NSW coalition government to overturn the state’s ban on uranium mining, suggests differing views about the outlook for the nuclear industry. That the much anticipated “nuclear renaissance” has been stalled – at least in western democracies – appears to be beyond doubt, at least in the short term. But the medium- to long-term outlook is subject to much conjecture, and seems to depend on how you answer two questions: Who is going to want it? And who is going to pay for it? In the immediate aftermath of the Fukushima nuclear crisis, we noted that the nuclear industry was unique among energy sources in that it relied on the indulgence of public opinion – unless, of course, you live in a country like China – to be built. This has been borne out by events in Germany and Italy, and the continuing angst in Japan. But it’s not the only problem – even in those countries where nuclear is supported by the government, the question remains, who is going to pay for them? And it seems clear that the private sector is not. Advocates for nuclear power in this country like to present the industry as the lowest-cost clean energy alternative to fossil fuels. But this ignores the fact that nuclear plants are massively expensive and involve huge up-front costs, invested well in advance of a commercial return because of the long lead times. And it is completely dependent on government support. As Citigroup analysts pointed out in a 2009 analysis on the economics of the nuclear industry, there hasn’t been a plant in the world built without the relevant government assuming much of the construction, operating and financing risk. There is not a single insurer, banker or construction company in the world that is willing to assume that risk. France is often cited as the glowing example of low cost nuclear energy, but the French government effectively wrote off the capital investment of its nuclear fleet, meaning that the operating companies such as EdF and GDF Suez have been able to book what the International Energy Agency described as billions of dollars in “nuclear rent." Now, the assumption that nuclear will be cheaper than competing “clean” technologies such as coal with carbon capture and storage is being questioned again, particularly in light of the extra costs that will become an inevitable consequence of post-Fukushima safety reviews. Nomura Securities analyst Kyoichiro Yokoyama last week released a detailed assessment of competing clean baseload technologies, in which he concluded that the cost of nuclear was considerably higher than that of even coal with carbon carbon and storage. Yokoyama noted that low costs had been a key selling point for nuclear power, underpinned by an analysis from the IEA and the OECD’s Nuclear Energy Agency last year that suggested that the levelised cost of energy (LCOE) for coal-fired plants with CCS comes out 25-40 per cent higher than that for nuclear plants, with or without a carbon price. But Yokoyama said that, since the Fukushima Daiichi incident, an increasing number of people have been questioning the real cost of nuclear power generation. He drew on research from MIT that noted how the cost of disposing of spent fuel and numerous regulatory and political risks associated with operating licences, including gaining the approval of residents, meant the capital costs were considerably higher (around 2-3 percentage points) than for thermal generation. MIT suggested that this translated into a LCOE for nuclear power generation of $US60-$US65/MWh for the US and Germany and $90/MWh for the Czech Republic. These costs are roughly the same as for coal-fired generation with CCS. The question of costs and the ability of the private sector to come to the party has been raised on several occasions in recent weeks in the UK, which is keen on pressing ahead with its nuclear rollout. A joint venture between France’s EDF and the listed UK utility Centrica plans to roll out of three or four nuclear plants by the end of the decade. Last week, Lakis Athanasiou, the utilities analyst with London-based investment bank Evolution Securities, warned that Centrica should "not touch (the new nuclear venture) with a barge pole," particularly if the UK government is unwilling to take construction risk. The Evolution Securities view reinforces renewed concerns expressed by other investment specialists such as Citigroup, which a week earlier said new nuclear was not an investable option for public equity markets and listed companies such as Centrica or Germany’s RWE. “The cost of capital based on those risks would be way too high to give you an electricity price which is affordable,” Citigroup’s utilities analysts told reporters at a briefing in London. "You would be looking at a project cost of capital of at least 15 per cent. That would require a power price of about 150-200 pounds per megawatt hour (based on 2017 money) to make that project work," he said, noting it is three to four times as much as current UK spot power prices. "We think (nuclear energy) is uninvestable for public equity markets. EDF may be willing to take on the construction risks but none of the other (big utilities) are willing to do that." EDF, he noted, is an exception because it is majority-owned by the French government. In that 2009 report, Atherton noted that three of the risks faced by developers – construction, power price, and operational – are “so large and variable that individually they could each bring even the largest utility company to its knees financially. This makes new nuclear a unique investment proposition for utility companies.” He noted that UK government policy remains that the private sector takes full exposure to the three main risks. “Nowhere in the world have nuclear power stations been built on this basis,” he said. Further delays and cost overruns at new generation nuclear plants being developed in Europe by French companies have also raised questions about the cost factor, particularly with the extra safety measures that would appear to be an inevitable consequence of the Fukushima incident. EDF said the new generation European pressurised reactor (EPR) at Flamanville, in north-western France, has been further delayed and is now expected to open in 2016 (rather than 2014), and its budget has now jumped out to €6 billion ($8 billion). It was originally to be built by 2012 at a cost of €3.3 billion. Another French company, Areva, is experiencing similar problems at its EPR plant in Finland. And in weirder nuclear news, the ABC has a report on some Swedish dude who had a "meltdown" occur on his stovetop - Man tries to build nuke reactor in kitchen. 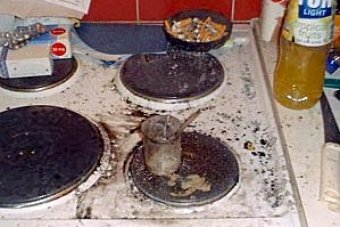 A Swedish man who tried to build a nuclear reactor in his kitchen says he started the experiment "just for fun". Richard Handl, 31, from Aengelholm municipality in south-western Sweden, was detained by police two weeks ago and says he started the project as a hobby. "I have always been interested in nuclear physics and particle physics," he said. In May, he launched an English-language blog, Richard's Reactor, in which he charted his progress in the project, complete with pictures. Mr Handl's blog can be found at http://richardsreactor.blogspot.com. Channel 9 reports that the WA governments policy of reserving a percentage of local production for domestic consumption is being retained - WA govt retains local gas supply policy. The Western Australian government will keep in place a 15 per cent domestic gas reservation requirement for all major gas projects in the state. The policy, established under the previous Labor government, requires producers to set aside 15 per cent of their gas reserves for domestic consumption, rather than for export to Asia at higher returns. Premier Colin Barnett has tabled his government's response to recommendations of a parliamentary committee's inquiry into domestic gas prices, that were found to be double those in eastern states. On July 8 I attended a forum on peak oil organised by the Sustainability Society. Dr Richard Hawke from the Ministry of Economic Development gave a presentation on behalf of the New Zealand government entitled "Peak Oil - New Zealand's Response". I came away with emotions ranging from frustration to anger and embarrassment. Dr Hawke began with a typically confusing introductory slide on electricity generation, when anyone with a basic knowledge of peak oil knows that it's a liquid fuel problem, not an electricity issue. We cannot power our cars, trucks ships and planes on electricity. Next was a cringingly awful attempt to paint peak oil as part of an historical continuum of false prophecies on oil production. Awful because all of the examples used were from the 19th century or early 20th century before the concept of peak oil was understood. Who cares what someone said in 1865? The glaring omission from the examples given was of course the prediction from US Shell geologist Dr King Hubbert. He predicted in the 1950s that US oil production would peak in 1970 -- which it did, and has declined steadily ever since in spite of the best technology, most intensive drilling on the planet and record high prices. Similarly omitted were the projections of Colin Campbell and other peak oilists in the late 1990’s who predicted that global crude oil production would peak around 2005 -- 2006 -- which it also did. Dr Hawke then attempted to paint peak oil proponents as pessimists who underestimated oil reserves, exaggerated future demand, while not giving enough emphasis to substitution and technological advances -- the archetypal cornucopian view. Firstly, the argument about reserves is a straw man because peak oil is essentially concerned with the flows -- production of oil -- (which have been flat since 2005 despite record high prices and advances in technology) rather than how much oil might or might not be in the ground. As to exaggerating future demand, surely the government is not seriously suggesting that soaring demand from China, India, Middle East and other developing nations is magically going to decline? Again this is a typically Western-centric view which wrongly transposes the declining oil demand trends in OECD nations like New Zealand to the world as a whole. The presentation then suggested that technology and alternatives will be the silver bullets that saves us. But the presentation conveniently fails to mention the higher cost, much lower energy return on energy invested and the planet-frying effects of using alternatives such as the tar sands in Canada. The slide actually shows the the extreme and dangerous depths to which drilling must go! But on the other hand the government is quite prepared to ignore other recent IEA announcements - calling for large-scale government intervention - because it does not suit its “the markets will solve everything” ideology . The IEA said in its 2010 Report on NZ that the government should “give priority to enhancing energy efficiency in the transport, commercial buildings and industry sectors by defining clear objectives for the sector supported by adequate cost-effective measures and long-term investments"
The next slide shows the government’s blind faith reliance it has in the IEA's flawed oil price modelling. The slide shows an oil price in 2035 – (24 years from now) at $US135 a barrel under the (worst-case) “existing policy” scenario. Does anyone seriously think the world oil price will be only $US15 higher in 24 years than it is now? Yet the government continues to place faith in IEA price modelling. The next slides selectively depict various scenarios for future oil production. But only the most optimistic scenarios are shown - a “new policies" scenario and a “green revolution” -- 450 ppm Co2 or 2° of warming" scenario. Post Kyoto there is scant evidence of world governments actually implementing either of these scenarios. So why is the far more pessimistic "current policy" scenario omitted from the presentation? I want to concentrate on the government's response on biofuels and electric vehicles and its Petroleum Action Plan, as the ETS and funding for public transport infrastructure have been well canvassed elsewhere. Slide 27 brazenly suggests that the government is actively encouraging biofuels and electric car uptake as serious policy initiatives as a response to peak oil. Frankly I found this an insult to the intelligence of the forum audience and the public at large. Why? -- Because these are minuscule and pathetic policy responses. The second much touted “response” is the Petroleum Action Plan (PAP) the aim of which is to develop New Zealand's petroleum potential. "in time it is hoped this will improve our net position and reduce our dependence on imported oil". "it is hoped" (would it help if we all got down on our knees and prayed?) that something will turn up. Yet this is put up as a credible response to peak oil which is already causing higher inflation and substantial and negative impacts on GDP? Already huge cracks are appearing in the petroleum plan …. • Petrobras is angry with the government that it was confronted with major protest action offshore from East Cape which disrupted its exploration work. The company left early, and who knows whether they will return. • Not one company has taken up available exploration permits off the coast of Northland. The government surreptitiously placed this news on the MED website in the past few days with no ministerial press release. When confronted the government said the global financial crisis and the Gulf of Mexico oil spill was to blame. Well hello! Was that not blindingly obvious when the PAP was formulated.? I pointed out these issues in an earlier post . Yet in spite of these major setbacks in five different much touted offshore oil basins, the government's presentation has the gall to put up this graphic suggesting we will be "saved" by new oil discoveries. As I pointed out in a post in November last year about this very same graphic -- if you strip away these yet to be discovered oilfields -- you are left with the real world situation of New Zealand oil production having already peaked and declining steeply to zero by 2023. This was a non-response to peak oil. It was a "let's pretend is not happening" and if it turns out it is happening "let's hope and pray that something will turn up"
Am I my feeling any better having got this off my chest? Well not really -- because there are effective policy responses that the government can make. But due to its ideological blinkers, they will continue to ignore them. Labour has yet to announce its energy policy for this year’s election. Whether it too is unprepared to take bold and effective action on peak oil remains to be seen. I expect to be equally disappointed. This is a guest post from Robin Johnson's Economics Webpage. This evening I was intending to carefully read the Report on the New Zealand Emissions Trading Scheme that Minister for Climate Change Issues Nick Smith released today and write a considered review. However, I only got as far as Nick Smith's forward on the the third page when I got stopped in my tracks by Figure 3, a misleading piece of chartjunk if I ever saw one, about New Zealand being on target to meet its obligations under the Kyoto Protocol. Here it is. The chart legend says it shows "Kyoto net emissions (actual emissions)". 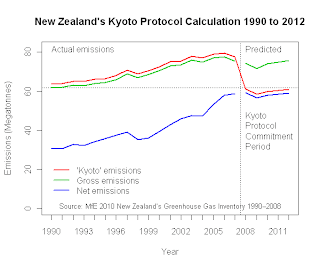 This parameter trends upward to 2007 and then in 2008 and 2009 it suddenly drops below the blue line of NZ 1990 emissions. Thus showing we are meeting our emissions reduction committment that we signed up in the Kyoto Protocol. Its enough to make you proud to be a Blue-Green. This chart is junk because it misrepresents the underlying data on greenhouse gas emissions. Back to the legend: "Kyoto net emissions (actual emissions)". Why does it say "actual emissions" in brackets? Because Smith would like you to think that. 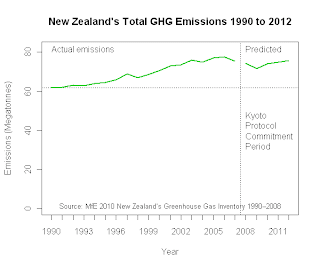 Lets look at real chart of real New Zealand greenhouse gas emissions. This shows total real emissions up to 2007 and predicted emissions 2008 to 2012 - the green line. It looks nothing like Fig 3. The actual and predicted trend does not show a return to 1990 volumes of emissions. However, that legend also said net emissions, that is total or gross emissions in any year less carbon absorbed by forests. Maybe Fig 3 is based on net emissions. The trend in net emissions (total less forest sink removals) or the blue line shows an even steeper rate of increase than the total emissions. 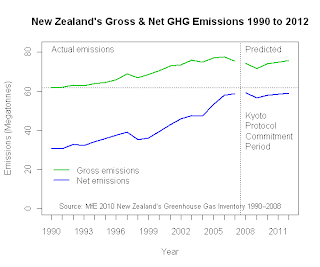 So how can Fig 3 show that New Zealand reduced emissions to 1990 volumes? Two more clues are in Figure 3. The title is "Kyoto net" and there is a note under the data source says "Kyoto net 2000-2007 values are backcasted". So the Fig 3 data is not just "net", it is also "Kyoto net" and "backcasted". What does ''backcasted" mean? Another chart shows how Smith gets to Fig 3 from the real total and net emissions data. 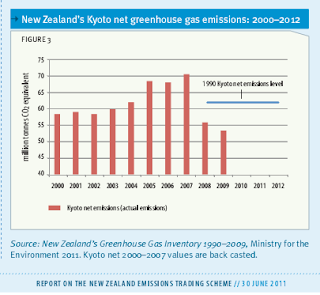 Greenhouse gas emissions, as defined for compliance with the Kyoto Protocol, are gross from 1990 to 2007, and once the Kyoto committment period starts in 2008, an Annex B country like New Zealand can meet its target by deducting removal units issued for carbon sinks - so Kyoto-defined emissions go net from 2008. Hence the red line. The removal units issued for afforestation (the increase in carbon stock in a forest planted since 1990) appear as if from nowhere in 2008 and disguise the growth in both the gross and net emissions. This isn't new information. In 1997, Simon Upton, the Minister for Climate change in Jim Bolger's 1990's National Government spoke of New Zealand's position at the UNFCCC talks; "if sequestration is treated in the way New Zealand has long been advocating, then the major contribution we expect to make to removing carbon from the atmosphere..will earn us 'credits' ". Interestingly, Upton had this cautionary note: "It might be suggested that New Zealand's interest in sinks stems purely from a desire to secure for itself a large buffer that would allow for significant growth in greenhouse gas emissions". Upton believed that would not be a credible policy. However, since Upton's day, the chartjunk that is Figure 3 indicates that New Zealand's climate change policies have consistently been all about providing exactly that buffer to allow for significant growth in greenhouse gas emissions while claiming to have mitigation policies such as the NZ ETS that match our much-abused clean green overseas image. Did anyone sign the Kyoto Protocol in good faith? New Zealand didn't. New Zealand Officials Muzzled on Peak Oil?